It does not matter that there is no Kawhi Leonard. It matters less that these San Antonio Spurs are without much of an offense or defense that is playoff-ready. It matters least that this is just Game 1 in the first round of the postseason. 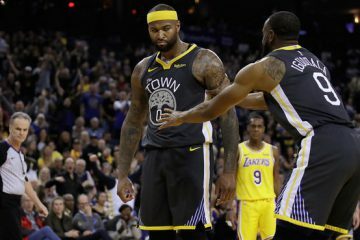 The rumblings of the Golden State Warriors demise were whispered all season and finally reaching a slight crescendo in the last two weeks. The 113-92 show? That’s the switch. Enjoy it. During the regular season, the larger impact of a head coach can become a distinct advantage game in and game out. In the postseason, the majority of your chance at winning a basketball game comes down to the talent of your best players. And Steve Kerr, for the first time in his coaching career in the postseason, put his best foot forward starting from the tip. 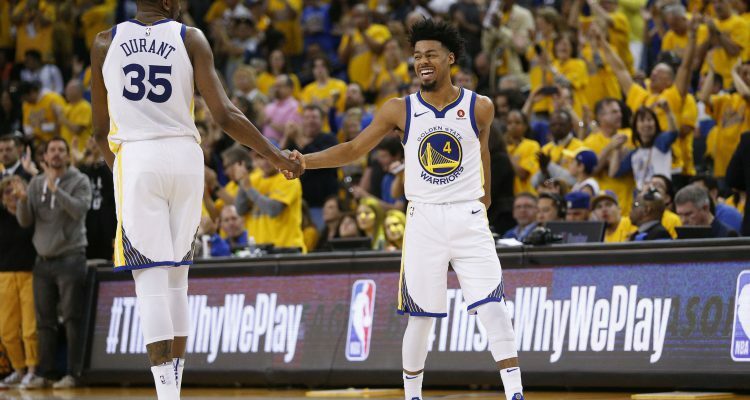 He started Andre Iguodala over Quinn Cook, putting his best defensive quartet on the floor along with scoring dynamo JaVale McGee. He didn’t wait until his team was down 2-1 in the series or facing a 20-pt halftime deficit. The coach decided to take matters into his own hands to start the series, and the rest was up to the players. And from there? Everything flipped. The blowouts to Indiana and Utah are long gone in the rearview mirror. Draymond Green’s backside help defense was strikingly familiar to the Defensive Player of the Year that roamed the hardwood the last three seasons. Klay Thompson’s shot 11-13 from the field but it felt like 14-13. 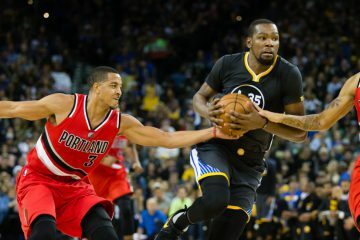 Kevin Durant was the perfect game manager the entire game, playing mistake-free basketball and calmly leading his team on both sides of the ball. And finally, the veterans, Andre iguodala and Shaun Livingston made it look like they were actually just running warmups the entire regular season. The season is here, and all the hand-wringing and disrespect has been noticed from every player on down, starting with the colorful postgame press conference from Draymond Green. Nobody picked the San Antonio Spurs to win the series but that isn’t the point. Vegas has the Houston Rockets tied with the Golden State Warriors to win the title. There are a growing chorus of people that are content to not give Steph Curry and his band of superstars the benefit of the doubt, instead asserting that James Harden, Chris Paul, and LeBron James deserve this more despite the massive success of the last three seasons. 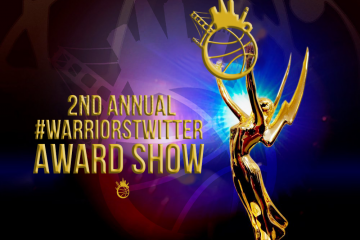 The Warriors see everything, hear everything, read everything, and put together a lockdown performance that let everyone and themselves know, they’re here, they’re back. 1. Andre Iguodala and Draymond Green made 3s. 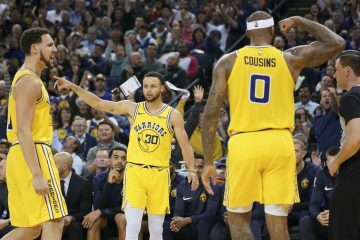 That is the singular sign you need from a team that always relies on those two to make shots to become the unstoppable force they are in the postseason. 2. JaVale McGee should start the rest of the series and while on defense should get exposed plenty moving forward, should also continue scoring off screens. His unusually stalwart isolation defense on LMA this game made the Warriors’ defense that much more lethal. 3. Rudy Gay is the only off the dribble creator the Spurs have right now. It is ugly. 4. Outside of Game 6 in Oklahoma City, Klay Thompson has never had a large series or an extended great stretch in the postseason. Now in his fourth, could this be the one? 5. Draymond Green, Andre Iguodala, Klay Thompson, and Kevin Durant all locked in on defense? Best defense in the NBA. Not. Even. Close.